Born in Carmarthen and raised in Burry Port, Adam Warren played his youth rugby for Llangennech and was named Player of the Season after his first season with the senior team, before moving onto Llandovery for the 2010/11 season. He won international caps for Wales Under-20s and Wales Sevens before being capped for Wales against the Barbarians at the Principality Stadium in June 2012. The centre joined the Dragons in the summer of 2015 and made his debut against Connacht in the Guinness PRO14. 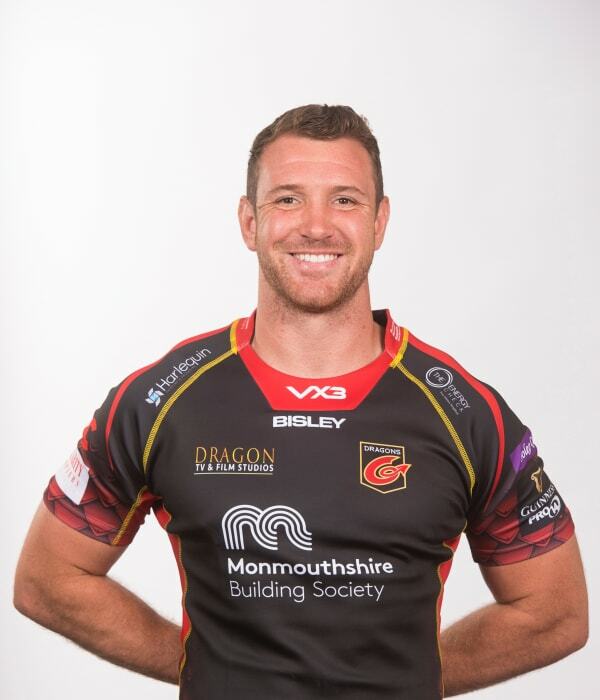 Ever-reliable and consistent, Warren is now fast approaching a century of games for Dragons.